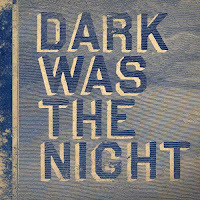 If you've been following our blog for a while then you may remember us obsessing about the charity compilation album Dark Was The Night. The album was put out by the Red Hot Organization and featured songs from Grizzly Bear, Arcade Fire, Feist, Bon Iver and The National. Not only did The National contribute to the album, but brothers Aaron and Bryce Dessner of The National also helped produce the album as well. Personally, I love the album and would definitely include it in my favorites of the year. Back on May 3rd several of the artists who contributed to the album gathered for an all-star concert at Radio City Music Hall in New York. Unfortunately, we weren't able to attend. Sure, we were bummed but lucky for us NPR is streaming the concert over at their website. Definitely worth a listen.